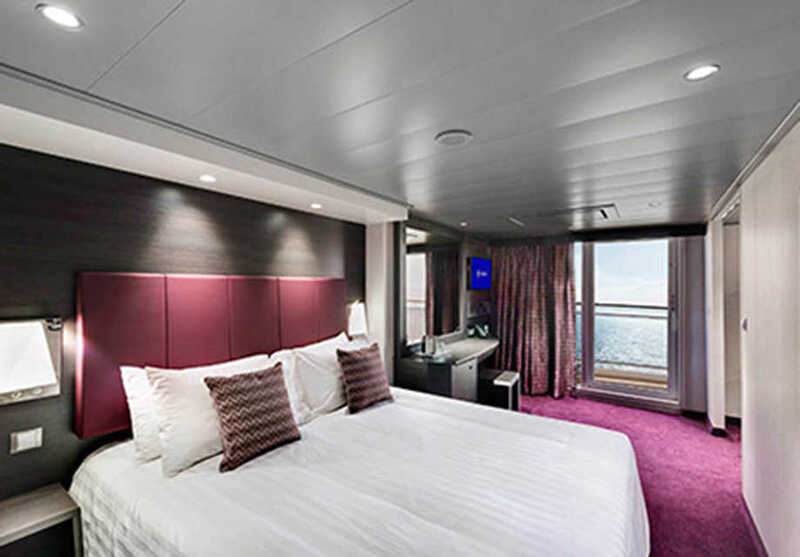 MSC Grandiosa has even more public space than her sister ships and features a sun deck, swimming pool, the MSC Yacht Club, a galleria filled with shops, lounges, restaurants and bars and Cirque du Soleil at Sea has created 2 brand new shows just for MSC Grandiosa. It also features the MSC Aurea Spa along with a beauty salon, thermal area and nail boutique. There are plenty of opportunities to shop until you drop onboard. 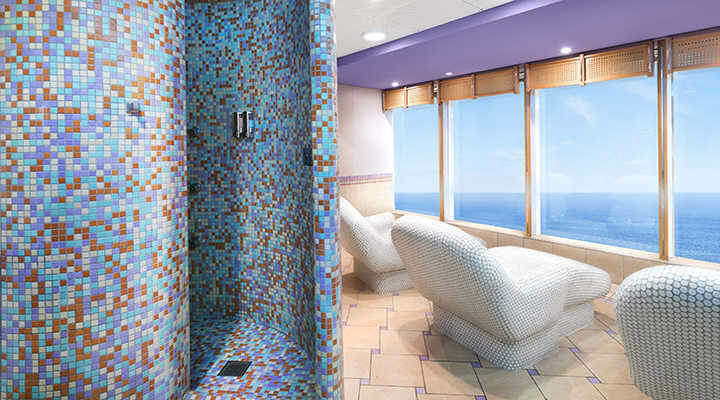 The MSC Grandiosa has the infamous Aurea Spa on board. From the fine Egyptian cotton linens and overstuffed down pillows to the complimentary in-suite bar filled with your favorite beverages, your suite was designed for exquisite comfort. 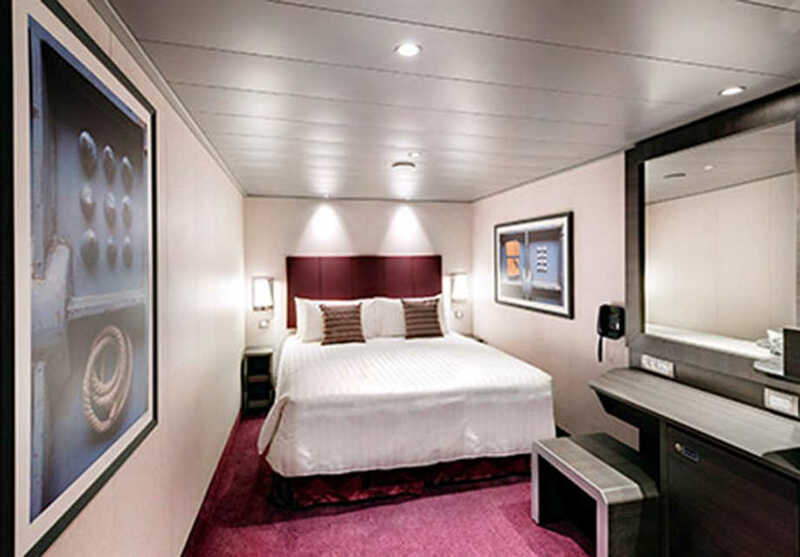 Divina’s spa is situated on deck 16 and is 1,700sqm which includes a sauna, Turkish bath and gym and also features a beauty parlour with both a hairdresser and beautician. There are spa packages available which include treatments such as hot stone massages and aromatherapy. This is an intricate water park which features three twisting slides, a variety of pools and a ‘Himalayan Bridge’ and is suitable for your whole family. There is a wide choice of boutiques on the Shipview including clothes, watches, swimwear, sunglasses, cosmetics and spa accessories as well as designer goods including Georgio Armani, Rayban and Swarovski. On the ship, there is around 10sqm of public space for every guest so there is lots of space to chill out by the swimming pool. It also features a large screen, so you can watch films after sunset. 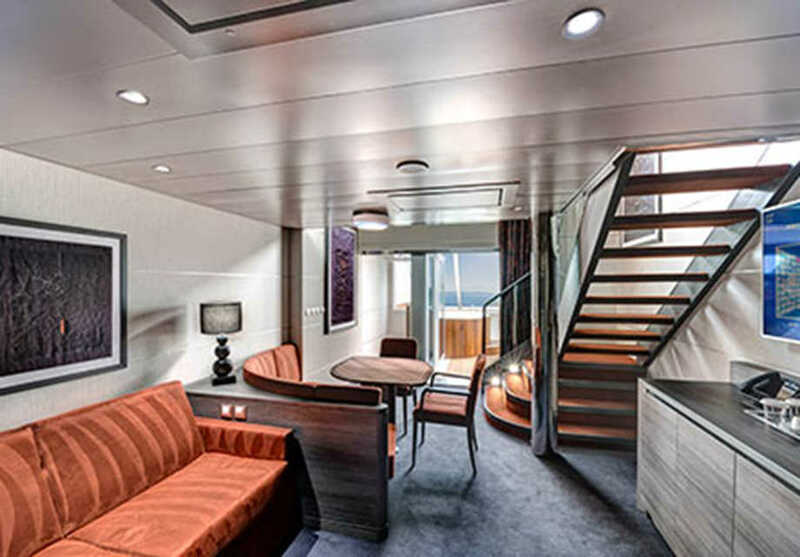 This suite features a separate bedroom and living room and an angled balcony with private whirlpool. 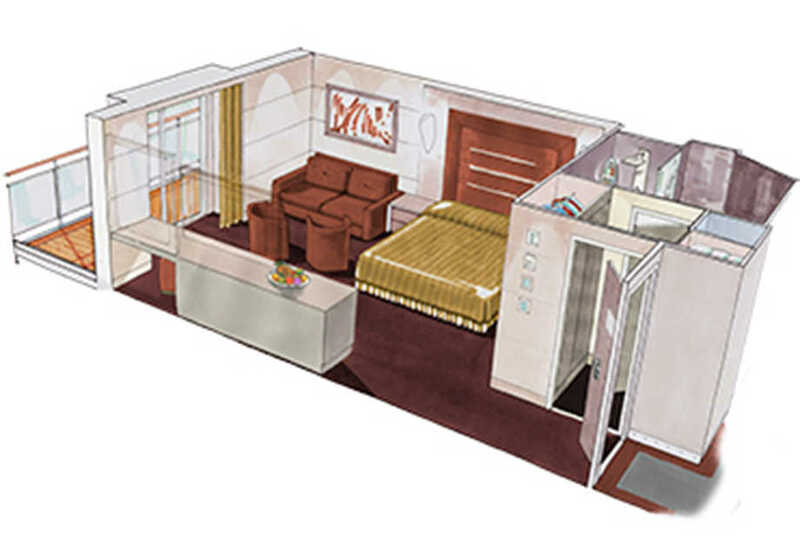 This suite features a double or twin beds and a private balcony. 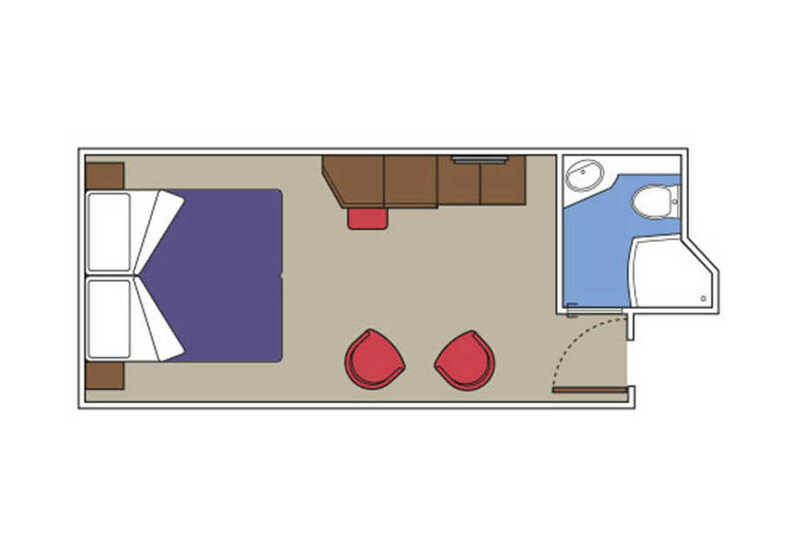 This interior cabin features one double or twin beds upon request. 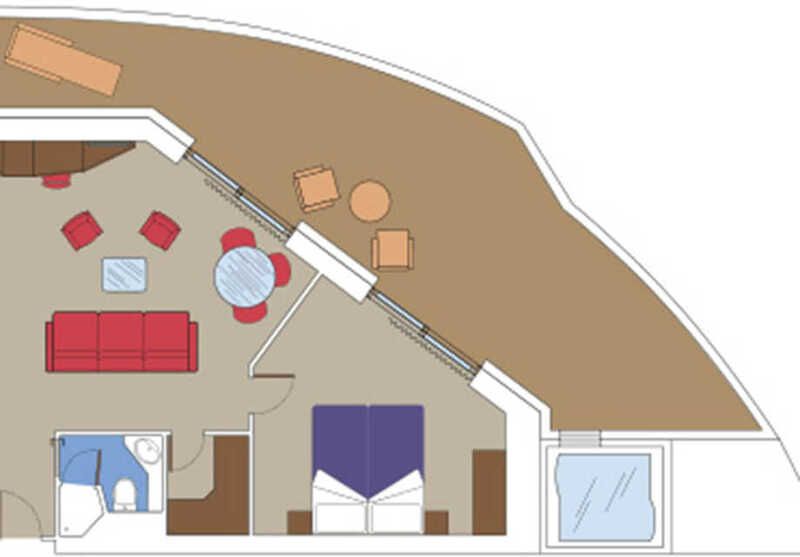 This suite is situated over two floors with the master bedroom on the second level and living room on the ground floor. 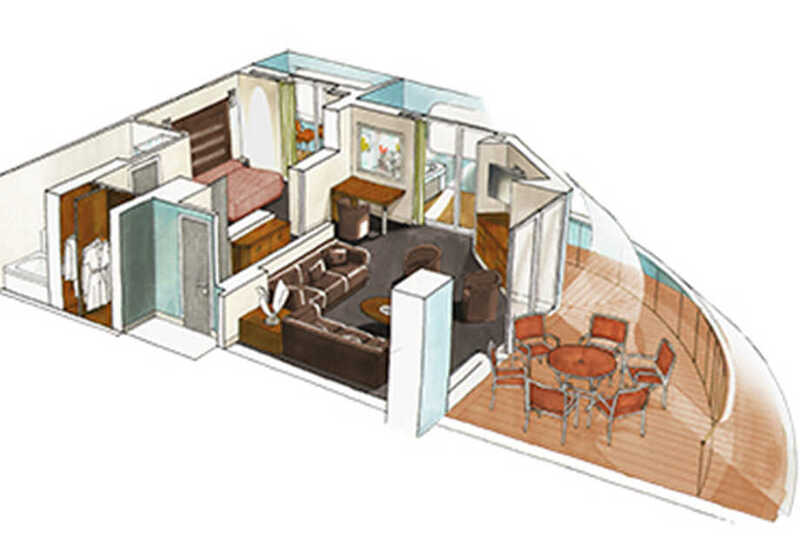 This suite features an angled balcony with private whirlpool bath and a separate bedroom and living room. This cabin features a private balcony and some feature a partial view. 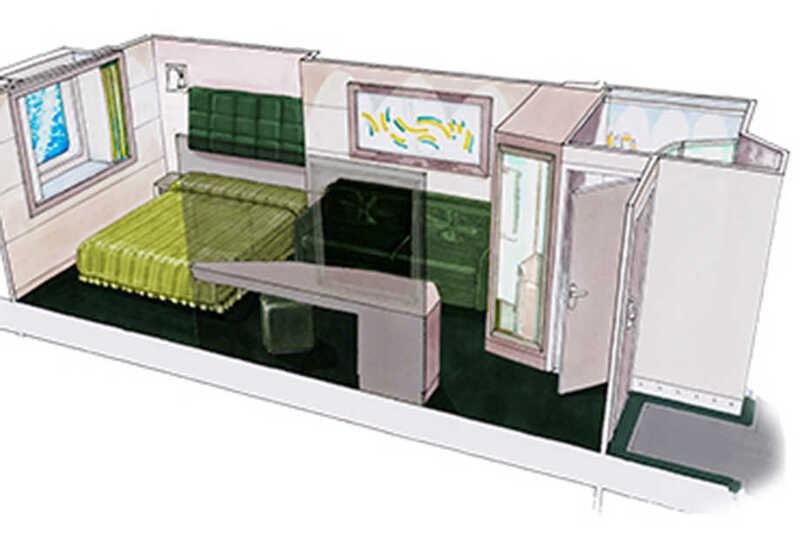 There is one double or twin beds, a seating area and a small window. This cabin features one double or twin beds and a bathroom with shower.